Appreciating the Greatest Generation - WWII and the 15th Air Force B-24 Liberators (Part 1) ~ Learn, Live, and Explore! Since Veteran's Day is only a few days away - on Monday - here in the United States, I thought I would finally finish up and post this entry I've been writing for awhile. Part II will post tomorrow. Back in April, after having a discussion with my mom about her extensive research into our family history, I realized that I wanted to know more about my grandfather who was a pilot of B-24 Liberators in WWII. I was not fortunate to ever be in a position to learn about his experience firsthand because he died when I was young and, as would be expected, I had absolutely no frame of reference, knowledge, or interest about WWII at that age. In contrast, I was lucky to have a close relationship with my paternal grandfather and to engage him in talks over the years about his experience in the Navy during the war, when I had more contextual knowledge to understand the stories he shared. In a quest to fill in some gaps with my maternal grandfather's service, I started just doing Google searches with what little information I had about him. I came across a reunion page for the 456th Bombardment Group, where I was able to find his name mentioned twice in newsletters published by the group. While this did not give me any more information about him, it did give me names of his crew. I also found a reference to my grandfather listed as a person in a photo that was archived in a collection stored at Utah State University. Following the procedures for obtaining a copy of the photo, a few days after its discovery, I received a scanned copy in my email inbox. I now had a photo, previously unknown to my family, that identified men who had worked with my grandfather! Already this was a successful effort, in my book. In my online searches, I found another website where you could ask questions in a forum environment. It was fascinating to see the number of actual veterans responding to queries. In my case, I had just one response that led me back to the newsletters I had already found, unfortunately. All was not lost, however, because in reading other responses to questions, I stumbled upon one participant who may have been a part of the 456th Bombardment Group. On a whim, I emailed him, not knowing if he was even still alive because the post was from 2009. Considering that many of the veterans were in their early 20s when the went to war, the youngest surviving men of the 15th Army Air Force are now in their late 80s/early 90s. Low and behold, I got a response! And, fittingly, on Memorial Day this past Spring, I had the honor of speaking with Mr. Joe Shuster, a former B-24 Liberator co-pilot who flew for the same squadron as my grandfather - and happened to live just 15 minutes away from me in D.C.
Mr. Joe Shuster joined joined the 304th Wing, 456th Bombardment Group, 747th Squadron of the 15th Air Force in May 1944 and completed his required missions in October 1944, allowing him to be back with his family for Thanksgiving. During the war, the target number of missions every "flyboy" needed to hit was 35, but they often got double credit for particularly long missions. By the time, Mr. Shuster was flying from Italy, many of the key manufacturing targets had been hit by earlier bombs, since the 456th and other bombardment groups arrived in airfields around Foggia and Cerignola, Italy months before he did, so his experience was not necessarily the more perilous one experienced by pilots who had flown some of the first missions when anti-aircraft resistance was more intense and enemy air power heavier. The crews of the B-24s in Italy flew missions into Germany, Austria, Northern Italy, France, Czechoslovakia, Yugoslavia, Romania, and Hungary to take out strategic supply line positions, such as railroad facilities and marshalling yards, bridges, oil refineries, and manufacturing plants. As the 15th Air Force achieved more successes, the Germans put up less of a resistance simply because they did not have the ability to do so without fuel and supplies. 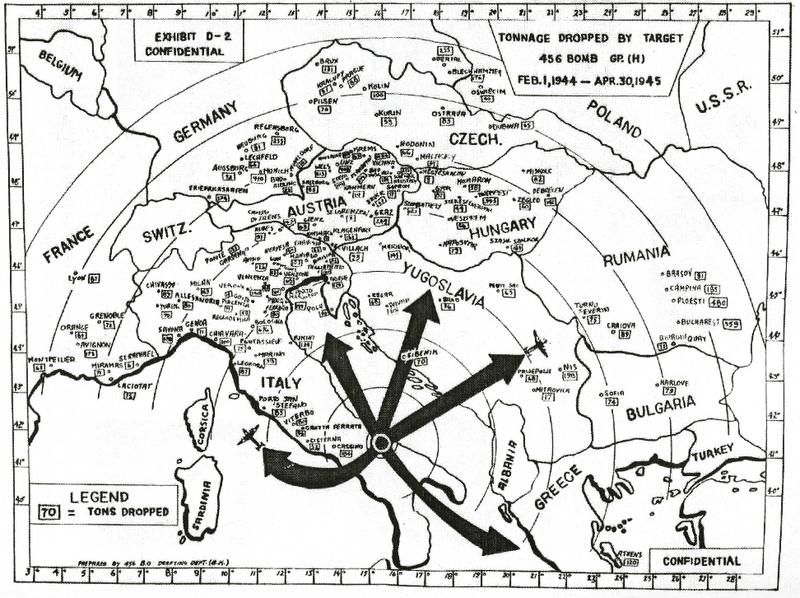 This did not necessarily mean that missions were no longer dangerous because the anti-aircraft flak was still heavy over particular cities, and groans were always heard in the briefing room when the curtain was pulled back on the map to reveal Munich, Vienna, or Bucharest. In fact, it was a flight to Bucharest on July 2, 1944 that caused Mr. Shuster to be switched from the 747th Squadron into my grandfather's 744th Squadron. That day, flying in formation, the 744th suffered the loss of 6 out of its 8 planes and their crew members. Mr. Shuster has made an amazing contribution to his legacy by not only spending the time to write down his best memories from the war in a 70+ page memoir but by being such an active participant in reunions, by engaging people on the internet, and by being so willing to meet with strangers to help them, the later generation, understand the truth. I had such a great time talking to him about the difficulties of flying a B-24 - from space issues, wearing parachutes (which they were expected to use without ever having performed a jump before), the constant modifications to the aircraft throughout the war, etc. I also got a better understanding of what life was like on the base and of these men who were really just boys (Mr. Shuster was only 19) that were forced to display an unfamiliar maturity. It was also fun to see photos that Mr. Shuster treasured, including ones from his R&R trips to Rome and boating in the Adriatic Sea. Returning to my own research, I have one more convenient source to look for more information. Housed in the National Archives - Silver Spring, Maryland Branch are the specific flight records of all the missions flown by the 15th Army Air Force. I thought that I might be able to track down why Mr. Shuster, though he was with my grandfather's squadron at the same period, did not recall his name or face. We speculated it may have been because of the difference in their ranks - my grandfather was a Major - and perhaps he was more involved in the bureaucratic activities on base rather than flying missions. The photo I found in the Utah State Library could be perceived as supporting this theory because it is a group of officers at the Allied Air Command in Italy. However, I had read in Steven Ambrose's book, The Wild Blue, that high ranking officers still flew missions, often times in the lead position in the formation due to their more extensive experience and knowledge. I knew that the 456th's records were officially kept at Maxwell Air Force base in Alabama, but I want to try my luck at the National Archives with the mission records for the Army Air Force first. Unfortunately my schedule has kept me so busy this summer and fall that I haven't found a weekend when I can dedicate the many hours I know it will take to comb through all the records. I promise to update this post as soon as I make the trip! In the meantime, stay tuned for the second installment of my quest tomorrow. 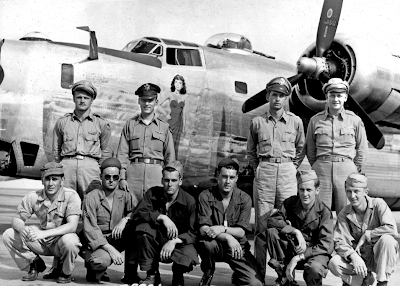 You won't believe what I did to better understand these wartime heros in their B-24 Liberators! My father's crew of the B-24G Liberator, plane serial# 42-99799, missing air crew report# 6440, was one of the 6 bombers that went down July 2, 1944. 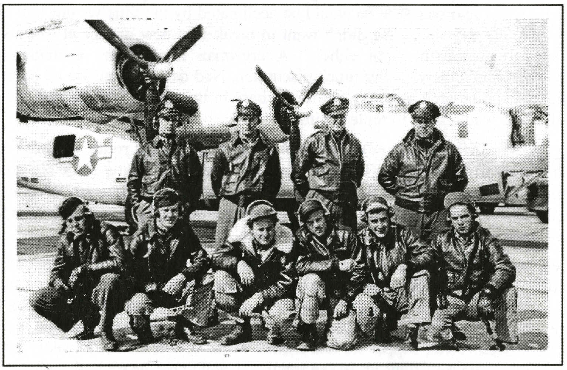 It was the 456th Bomb Group 744th Bomb Squadron out of Stornara Italy going to bomb the Shell Oil Refinery in Budapest, Hungary. There were 3 replacements on the crew that day. My father, Eugene Duncan, had burned hands so he wasn't on the mission. Charles Randall was sick and couldn't fly that day. The bombardier Paul Edlund had lost an arm in a previous mission.There were 2 survivors that went to German POW camps. The crash took place at Kapolnasnyek, Hungary (outside of Budapest) in a farmer's field. I am trying to find a picture of my father's plane prior to the crash and the nose art of the plane. If anyone can help me with any info I would greatly appreciate it. Please contact me at tram80221@yahoo.com. 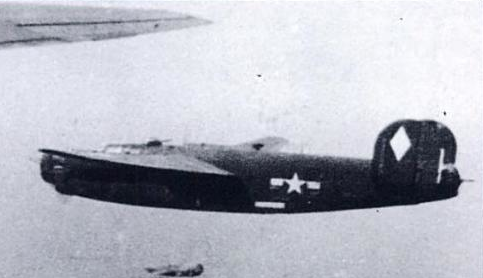 You may have found this by now, but I found a couple of references to a B-24 with that serial number called Salvo Susie. 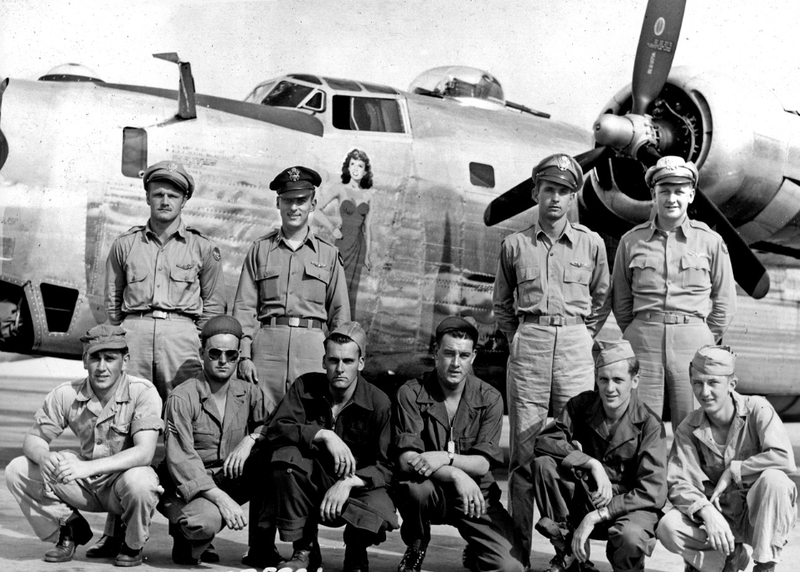 Here are 2 links, but the nose art the pre-crash picture on b24bestweb is partially obscured by the crew. Put them together and you get an idea of what it looked like. However, I have a book that describes all the 456th BG missions (my grandfather was a pilot in the same bomb group). In the section on that mission, it describes 42-99799 as being called "Jean." Not sure why there would be that discrepancy, but I suppose it could have had 2 names. Good luck in your search.